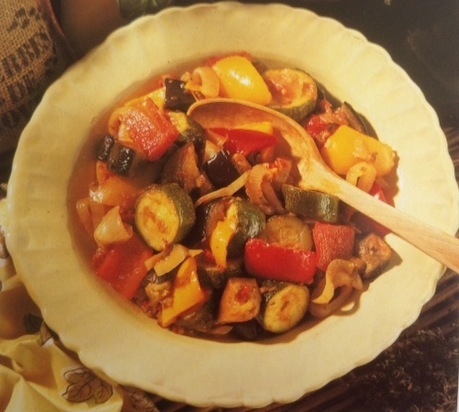 Ratatouille (pronounced rah-tah-too-ee) is a traditional French Provençal stewed vegetable dish, originating in Nice. Ratatouille is usually served as a side dish, but may also be served as a meal on its own, e.g. as an entree (see the Confit Byaldo vartiation below). Tomatoes are a key ingredient, with garlic, onions, baby marrow, eggplant, sweet peppers, basil or thyme. The roughly cut vegetables are pan-fried and then baked, and plated as a stew. There is much debate on how to make a traditional ratatouille. One method is simply to sauté all of the vegetables together. Some cooks, including Julia Child, insist on a layering approach, where the eggplant and the baby marrows are sautéed separately, while the tomatoes, onion, garlic and sweet peppers are made into a sauce. The ratatouille is then layered in a casserole and baked in the oven. My personal favourite is a variation of the traditional ratatouille called “Confit Byaldi” which was created by French chef Michel Guérard. It is the ratatouille recipe they used in the Disney Pixar movie Ratatouille (2007). It is also known as Remy’s Ratatouille (see more about the movie below). The dish consists of a piperade sauce – a combination of tomatoes, sweet peppers, onions, garlic and sugar – topped with thin slices of tomato, eggplant, baby marrow and patty pans. The dish is baked for two hours, cooled and refrigerated overnight for the flavours to develop. It is served as an entree on individual plates. The vegetables are fanned out accordion-style and it is finished off with a drizzle of vinaigrette. This dish is labour intensive, but so worth it! The movie Ratatouille (2007), from the creators of “Cars”, “The Incredibles” and Finding Nemo (to name a few), the main character is Remy, a provincial rat. Remy is not ordinary rat though. Not only is he literate, he has developed a passion for cooking after watching numerous cooking programs on TV. Remy’s culinary hero is French chef Auguste Gusteau, author of “Anyone Can Cook” and owner of Gusteau’s, a restaurant in Paris with no less than 5 Michelen Stars! After running for his life from his family home in rural France, Remy ends up in Gusteau’s very busy restaurant kitchen, where he meets Linguini, a clumsy young man hired as a garbage boy, the film’s other main character. Remy’s passion for cooking and Linguini’s eagerness to learn sets an hilarious and exciting rat race into motion that turns the culinary world of Paris upside down. This movie is a must see! Pre-heat the oven to 200 °C and line a baking tray with a Wizbake sheet and set it aside. Transfer the aubergine to the baking tray and brush each slice with oil on both sides with a silicon brush. Grill for 10 to 15 minutes on each side until just tender. Transfer the aubergine to a chopping board and set it aside to cool. Stir-fry the onion until cooked. Steam the baby marrow until crisp tender and add it to the onions. Chop the aubergine into cubes and transfer it to the saucepan. Add the tomato to the saucepan and stir-fry for a few more minutes. Add the salt, origanum and garlic with a 5 ml measuring spoon and add it to the saucepan. Add a few grindings of pepper to the saucepan. Cover the saucepan with a lid and cook on a medium heat for 20 minutes. Transfer the ratatouille to a serving dish and serve it as a vegetable side dish. If you feel like pizza but don’t want the wheat, this is a pretty good-tasting home-made version of a “banting” and gluten-free pizza! Pre-heat the oven to 200 ºC and line a baking tray with a Wizbake sheet. Transfer the cauliflower to a food processor and process with the pulse function until it looks like couscous. Transfer the cauliflower to a food processor and process it for a few seconds with the pulse action until it looks like couscous. Place the cooked cauliflower in a clean kitchen cloth and squeeze out as much of the liquid as possible. Transfer the cauliflower to a mixing bowl. Separate the eggs and transfer the egg whites to a mixing bowl. Transfer the egg yolks to the mixing bowl and mix well. Add 200 ml of the cheese to the bowl and mix well. Keep 50 ml aside for the topping. Add the seasoning, salt and pepper to the bowl and mix well. Transfer the mixture to the lined baking tray and flatten it into a circle with a spatula. Bake the pizza base for 15 to 20 minutes or until the base is firm and golden brown. Remove the baking tray from the oven and scatter the tomatoes on top. Crush the mixed dried herbs or dried origanum between your fingers before sprinkling it onto the base. Sprinkle the remaining cheese over the base. Return the baking tray to the oven and bake for a few minutes to heat the topping. 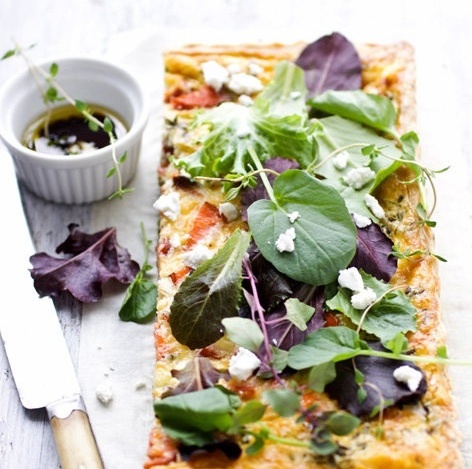 Garnish the pizza with the fresh basil or rocket and serve with salad. Spread 50 to 100 ml pasta sauce over the pizza base when it comes out of the oven – step 13. Top with ingredients of your choice before returning it to the oven. 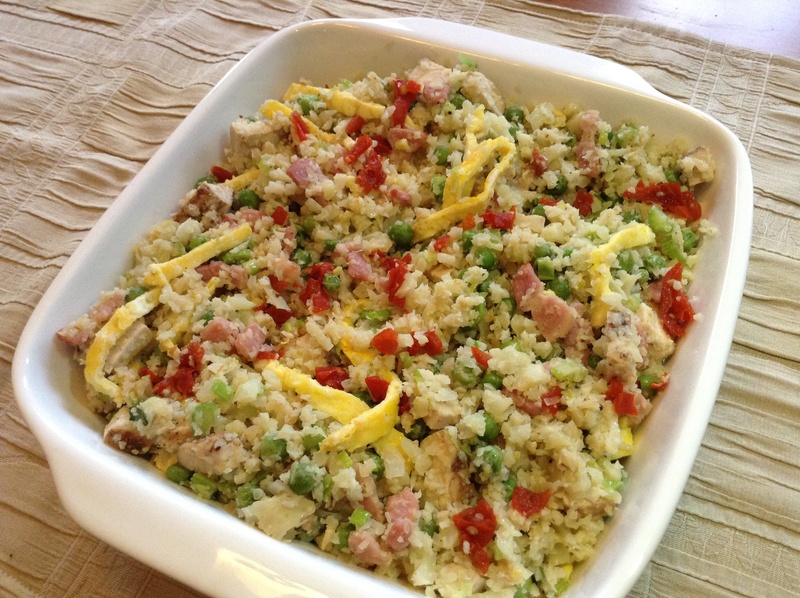 Be sure to try my Cauliflower Cakes, Baked Cauliflower Mash, and Cauliflower Fried Rice. These boats can be filled with a variety of stuffings. Omit the bacon for a vegetable side dish. 10 ml seasoning of your choice, e.g. Rosemary & Olive, Italian Cheese, etc. Pre-heat the oven to 180 ºC and line a baking tray with a Wizbake sheet. Cut the baby marrows in half lengthways and scoop out the seeds so that it looks like boats. Steam them in a steamer until almost cooked but not soft. While the baby marrows are steaming, fry the bacon in a non-stick pan until cooked. Remove the bacon from the pan with a slotted spoon and transfer it to a chopping board. Chop it finely and set it aside. Add the creme fraiche, mushrooms, spring onion, seasoning and salt and pepper to the pan and stir-fry until cooked. Stir in the bacon and mix well. Transfer the baby marrow to the baking tray and scoop teaspoonfuls of the filling onto the baby marrows. Sprinkle the cheese over the top and bake for 10 to 15 minutes or until heated through. Transfer the baby marrow to a serving dish and garnish with parsley. – Omit the bacon for a vegetarian dish. Trendy and delicious. A recipe which will become a favourite vegetable treat to serve from brunch to supper or any time in between. It is good warm or cold, as a light meal, side dish or a nutritious packed lunch. Combine the oil, vinegar or lemon juice, garlic, seasoning and vegetables and toss together. Spoon the mixture onto a baking tray and roast at 200ºC for 10 minutes. Re-arrange the vegetables, roast 10 minutes more until slightly browned and barely softened. Allow to cool while preparing the pastry and filling. Grease a deep 25 cm or slightly shallower 28 cm pie dish with butter and turn down the oven to 180°C. Place all the ingredients for the pastry in a mixing bowl and mix by hand until the pastry holds together, adding a little extra buttermilk as necessary to a make a dough that holds together but is quite soft. Spoon the pastry into the pie dish and spread evenly, covering the base and sides. Press out the pastry in the corner of the dish until quite thin and push back the pastry to neaten the edges. Arrange the vegetables onto the pastry and place cheese in between. Beat together the milk, cream if used, eggs, parsley, spring onion, bread crumbs and salt and pour over the vegetables. Bake about 25 – 30 minutes or until light golden and set in the center. Serve warm or at room temperature, cut into slices and garnished with the greenery. Recipe contributed by Carolié de Koster. Romanesca, also known as summer cauliflower, is a curious-looking cruciferous vegetable which can be used in any recipe that calls for cauliflowe or broccoli! Try my recipes for Baked Cauliflower Mash and Cauliflower Cakes with Romanesca next time. If using a head of romanesco, cut the stem in the middle out and cut it into florets. Steam the romanesco in a steaming basket or a steamer for about 10 minutes on a medium heat until the romanesco is soft went pierced with a knife. Transfer the romanesco to a colander and rinse with cold water to stop the cooking process. Shake off excess water and transfer the vegetables to a serving dish. Serve as is or with a sauce of your choice. Re-heat when ready to serve. This is a different but very tasty way to serve cauliflower. Tip: tell your kids it is mashed potato and they won’t have a problem eating it! Pre-heat the oven to 180 degrees selcius. Steam the cauliflower on the stove or in the microwave until soft. Transfer the cauliflower to a food processor and puree. Add the rest of the ingredients and process using the pulse function until the ingredients are combined. 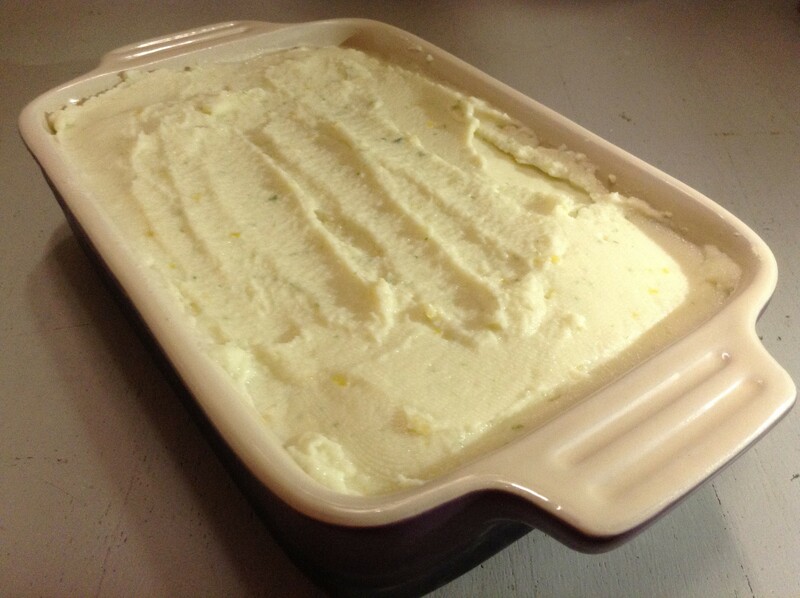 You should still be able to see green and yellow flecks if you added the herbs and lemon rind. Transfer the mash into a serving dish and bake for 10 to 15 minutes or until the edges turn brown. Serve as a vegetable side dish or instead of potato or rice with a meal. 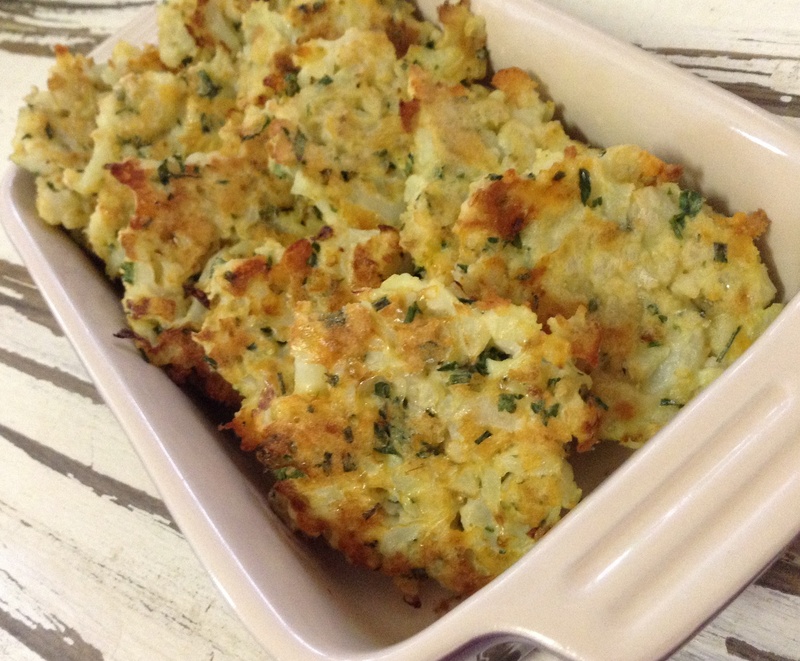 Be sure to try my Cauliflower Cakes, Cauliflower Fried Rice and Cauliflower-base pizza. P.S. The photo was taken before it went into the oven. For plain cauliflower mash, omit the egg and return the mashed cauliflower to the saucepan to heat through while stirring if you want to serve it immediately. Move over “cauliflower cheese” – there is a new kid on the block! This is a fun and tasty way to serve a vegetable that is usually not very popular. Pre-heat the oven to 200 ºC and grease a non-stick baking tray with cooking spray or line it with a Wizbake sheet. If using a head of broccoli or cauliflower, cut the stem in the middle out and cut it into florets. Steam the cauliflower in the microwave or in a steaming basket on the stove for 5 to 10 minutes or until cooked. Set it aside to cool. Process two to three slices of stale bread in a food processor and set it aside. Combine the rest of the ingredients, except the breadcrumbs, in a large mixing bowl and mix well to combine. Chop the cauliflower finely and measure it before adding it to the bowl. Add just enough of the breadcrumbs, oatbran or phyllium husks to get the right consistency. Spoon about 30 ml of the mixture onto the baking tray and cup your hands around it to form it into patties or cakes. Bke for 15 to 20 minutes, turning halfway through cooking until golden. 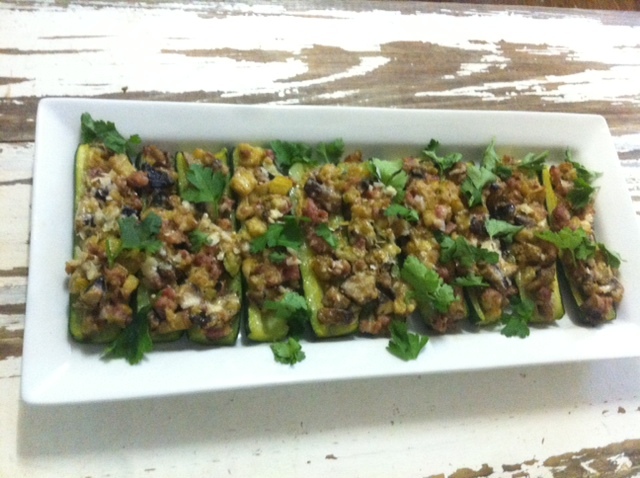 Serve as one of the vegetable side dishes with a meal. 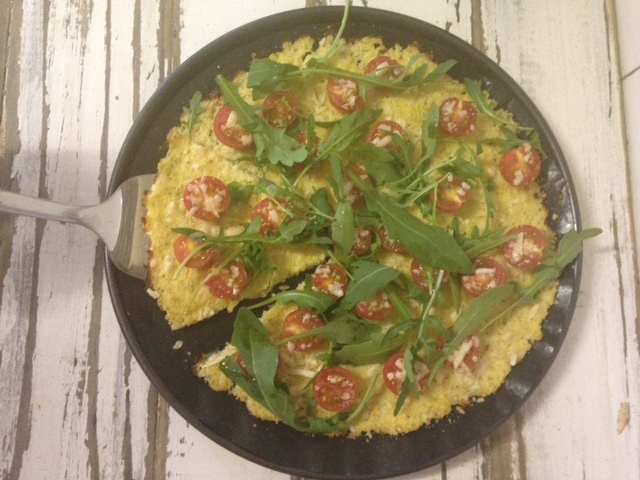 Be sure to try my Baked Cauliflower Mash, Cauliflower Fried Rice and Cauliflower-base pizza. 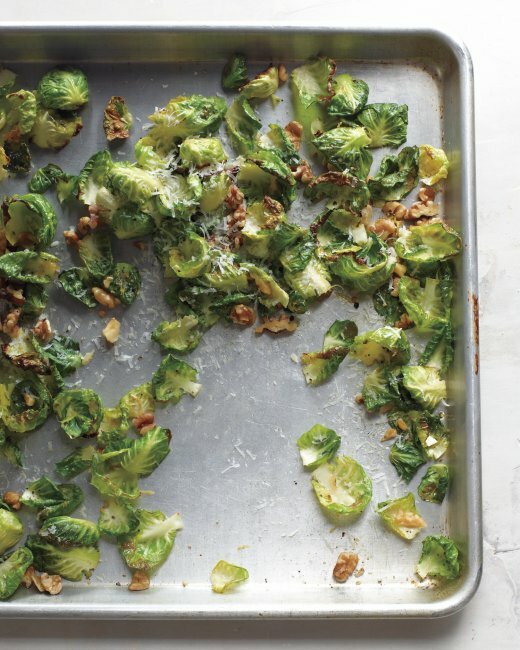 I’ve never been a fan of brussels sprouts – that is until I tried this recipe! Brussels sprouts look like miniature cabbages and are a cultivar of the same species that includes cabbage, collard greens, broccoli, kale, and kohlrabi, so they have quite a strong smell when being cooked! Preheat oven to 190 °C and line a baking tray with a Wizbake baking sheet. Combine all the ingredients except the cheese in a mixing bowl and mix well. Transfer the mixture to the baking tray and spread out. Roast until the leaves are crisp and golden around the edges – about 10 to 12 minutes. Sprinkle with the cheese and and serve with lemon wedges. 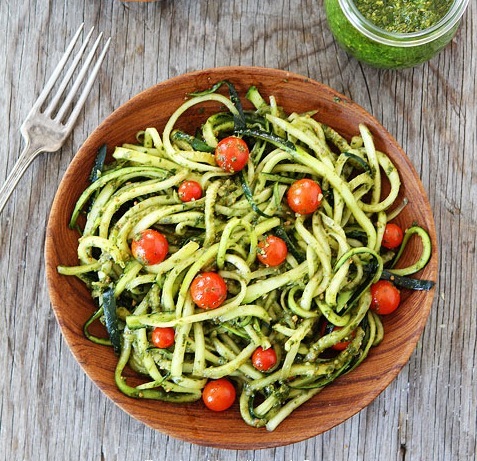 Turn your baby marrow into “pasta” and toss with fresh basil pesto. A fresh and healthy meal in minutes! Use a julienne peeler or mandoline to julienne the baby marrows. Heat 5 ml olive oil in a saucepan and stir-fry the baby marrow. To make the pesto, combine the basil and garlic in a food processor and pulse until coarsely chopped. Add the olive oil in a steady stream while the food processor is running. Stop the machine and scrape down the sides of the food processor with a rubber spatula. Add the lemon juice and Parmesan cheese. Pulse until blended. Add the pesto to the saucepan and mix well. Add the tomatoes and stir-fry for a minute or two. Transfer the baby marrow to a serving dish and serve at room temperature or chilled. The golden brown butternut will contrast well with the roast or grilled meat and fresh vegetables on a plate. Delicious! Peel and seed the butternut and slice into neat even slices. Place into a saucepan with a small quantity of water and simmer 15 minutes or until just cooked but not yet soft. Arrange the slices decoratively into a serving dish and sprinkle with nuts. Pour the melted butter, mixed with honey or syrup, salt and cinnamon over the butternut. Bake at 180º C for about 20 minutes or until golden brown. Baste with the syrup once or twice while baking and if preferred place under the grill for a few minutes to caramelize the top. Substitute the honey for golden syrup or maple syrup. Recipe by Carolié de Koster – Art Of Cooking recipe book p. 371. These fried tomatoes make a great a side dish for a braai, breakfast or brunch. Combine the flour and half of the seasoning on a large plate and set aside. Combine the polenta and half of the seasoning in a 2nd large plate and set aside. Combine the buttermilk and eggs in a suitable dish whisk with a fork to combine. Season both sides of the tomato slices with salt and freshly ground pepper and transfer to a 3rd plate. Place the plates in the following order: the plate with the flour, then the plate with the egg mixture and lastly the plate with the polenta. Work with one slice of tomato at a time and dredge it in the flour, coating evenly on both sides and shaking to remove the excess. Next dip it into the egg wash, letting the excess drip off. Lastly dip the tomato slice in the polenta, coating evenly on both sides and shaking to remove the excess. Place the coated tomato slice on a large plate and do the same with the rest. Heat 125 ml of the oil in a large saucepan until hot. Fry a few tomato slices at a time in the hot oil until golden brown – about 2 minutes per side. Remove the tomatoes with slotted spoon and drain on absorbent kitchen paper. Do the same with the rest of the tomatoes, adding more oil to the pan as necessary. 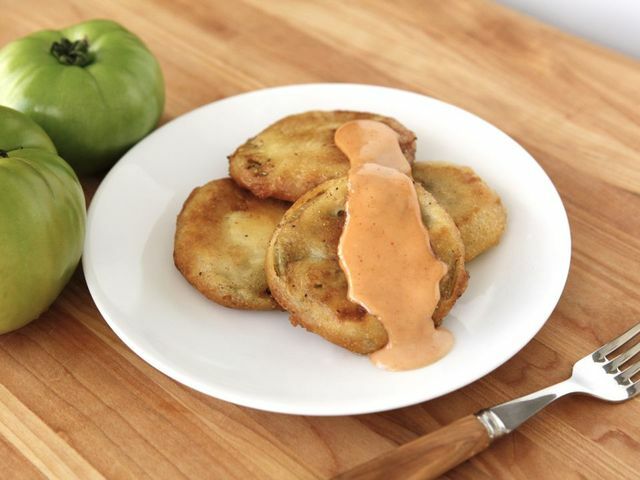 Serve the fried green tomatoes with pink remoulade or tartar sauce.